After recently releasing both Doraemon 2008 and 2010 anime movies, Doremi Fansubs released yet another cool movie based on the manga by Fujiko Fujito. 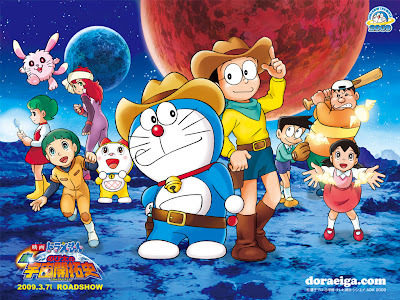 Doraemon The Movie: The New Record of Nobita: Spaceblazer is the series' 2009 full length anime movie released during the celebration of TV Asahi's 50th Anniversary. Two alternate universe creatures, Lopplc and Chammy, are escaping from an enemy ship. While Nobita is sleeping, he suddenly feels the floor is trembling, like an earthquake. A little rabbit from the alternate universe named Chammy opens the door between the dimensions using a hammer. Nobita wakes up and Doraemon hears somebody steal food from the fridge. 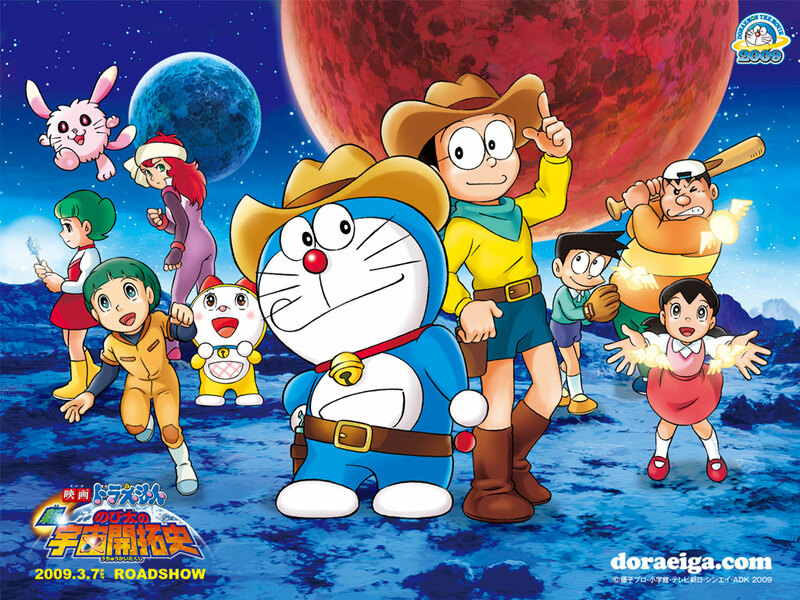 Chammy is caught by Doraemon and Nobita. She shows them the passageway through Nobita's floor into the spaceship. After they enter the spaceship, they see Koya Koya Planet, and meet Lopplc (12 years old).